Before my recent work experience in the House of Lords library, my knowledge of parliament’s second chamber was, admittedly, very limited. By no means am I pretending to have become an expert a week, but I have certainly learned a lot about what the Lords does and how it does it. In fact, I learned a lot about how parliament works as a whole, as well as the history of the palace and about how democracy has evolved in our country over the centuries. For deepening your knowledge of politics and parliament (as well as having access to parliament for a week!) work experience in the House of Lords is a brilliant opportunity. 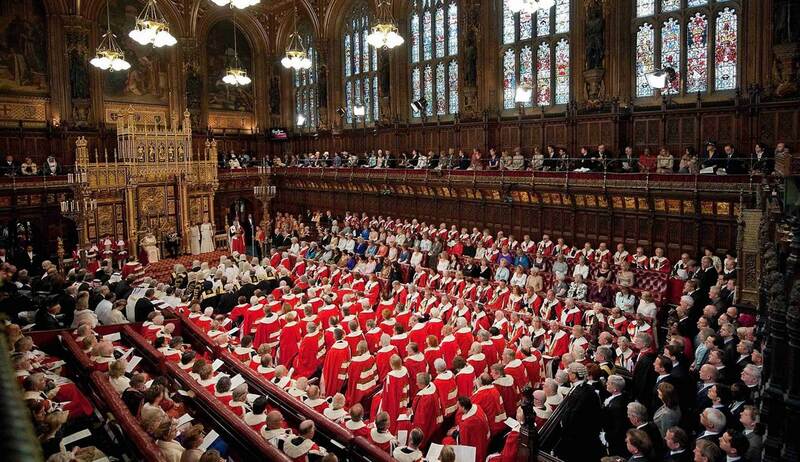 The House of Lords is the second chamber of the UK parliament and currently has 785 sitting members (92 of which are hereditary peers). The Lords plays a more ‘refining’ role in regards to legislation – tabling amendments on the specific bills that are passed up from the commons (or introduced in the Lords first). On the first day I, along with five others doing work experience in different departments within the Lords, was given a tour around parliament, including visiting the Lords and Commons chambers and then watching proceedings in both – something I have always wanted to do. This was a great introduction to what turned out to be a really interesting and memorable week. Unfortunately work experience can sometimes be a bit boring: making coffee for employees and endlessly photocopying documents. What I did at the House of Lords could not be further from this. I had a jam packed schedule which included a range of things. For example, one side of the Library functions in a similar way to your typical, local library – lending out books. Though the collection of books there are, most likely, significantly more impressive than your local library and I was privileged to be shown some books from their ‘special collection’ – including a 16th century publication of the Magna Carta. Of course, their collection is extensive (over 80,000 books I’m told) – many of which are hundreds of years old. The library isn’t open to visitors from the public (though you are able to do a virtual tour here http://www.parliament.uk/visiting/online-tours/virtualtours/lords-library-tour/) so being shown around was a really good experience; one that lovers of history, literature and (old) books would enjoy. The area I did most of my work experience in, though, was the research side of the Library. Something that I wasn’t aware of is that the Lords Library provides their own short research publications to members of the Lords. For example they publish ‘Library Notes’ and ‘Briefing Packs’ on business coming up to be debated in the Lords chamber. These are available to the public (see here: http://researchbriefings.parliament.uk/) Putting these together involves scanning through recent news articles and publications as well as relevant parliamentary questions which may be interesting to peers. As part of my work experience, I learned about and had access to the software and system that they use to carry out research as well as the processes they use to put research briefings together. The library also provide information in response to peers’ specific enquiries and so I learned how they go about doing this and the types of things peers are interested in finding out about. Of course, any requests for information by peers are strictly confidential. My experience at the House of Lords taught me a lot; not only did I learn about the organisation itself and the different functions that exist within in, but also more specific skills such as research. One of the things that meant I really did enjoy my time there was the people I met – all of whom came across as friendly and willing to talk to me as well as being enthusiastic about their job and the place they work. In fact, one member of the library staff even told me that their current job was ‘the best they would ever have’. Although the library research job can clearly be stressful and high pressured (given that there are just 15 employees potentially serving 785 peers), it did come across that everyone I talked to had an interest in what they were doing and, from what I saw, enjoyed it. I am therefore extremely grateful to those who took time out of their schedules to talk to me and particularly to my ‘mentor’ who made me feel very welcome and organised everything I did, meaning that I could get the most out of the four days I was there. I didn’t know what to expect when I applied. The House of Lords being such a famous and important institution it was a bit daunting. But such an experience doesn’t come around often – and I am extremely glad I seized what I know realise was such a great opportunity. I therefore urge anyone who may be remotely interested work experience at the Lords to apply. If you’re interested in research, politics, parliament or history then I can’t think of anything better you could do. Applications for 2016 aren’t open yet, but you can find out more about the scheme here: (http://www.parliament.uk/mps-lords-and-offices/offices/lords/lordshro/student-placements/). By: Toby Gould - writer of the blog tgpress.net, part of our blog network.